New data shows signs of a turnaround in the market. This is the first quarter where the data clearly show that tariffs took a bite out of the solar market. Some previously announced projects were canceled or delayed due to the tariffs. In Q2 2018, the U.S. market installed 2.3 gigawatts (DC) of solar PV, a 9 percent year-over-year decrease and a 7 percent quarter-over-quarter decrease, despite the fact that module prices fell sharply in Q2 due to lower demand in China. Looking ahead, the report forecasts an acceleration of solar deployment in the second half of 2018 driven by utility-scale projects. According to the report, 8.5 gigawatts of utility PV projects were procured in the first six months of the year, the most ever procured in that timeframe. This includes 26 projects exceeding 100 megawatts. Some of these were on hold in 2017 due to uncertainty around the tariffs. Module prices are at their second lowest mark in history even with the addition of a 30 percent tariff. “Except for residential PV, U.S. system prices are at their lowest levels ever,” the report states. 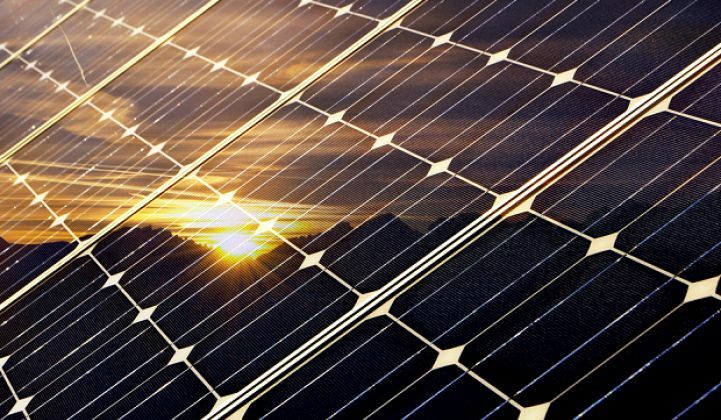 As a result of the surge in procurement, Wood Mackenzie Power & Renewables has increased its five-year forecast for utility-scale solar by 1.9 gigawatts. That is still 8 percent lower than was projected before the tariffs were announced. In the residential market, 577 megawatts were installed in the second quarter of the year, essentially flat on both a quarterly and an annual basis. Declines in previous quarters were less a symptom of the tariffs, but instead a result of customer-acquisition challenges and the scaling back of several large installers. The report points to the leveling out of the market as a sign that customer acquisition challenges may be subsiding. Emerging residential state markets like Florida and Nevada posted large gains in installations and helped the segment rebound. Community solar continues to see rapid growth. Led by Massachusetts and Minnesota, more than 300 megawatts of community solar were installed in the first half of the year. The build out is expected to continue in the second half of the year. The report projects a flat 2018 for the solar market as a whole. Most of the utility solar being procured today will come online in the 2020 timeframe. By then, 28 states in the U.S. are expected to be adding at least 100 megawatts of solar annually, and 25 states will have more than 1 gigawatt of solar PV — compared with only two states at that capacity in 2010. In Q2 2018, the U.S. market installed 2.3 GW (DC) of solar PV, a 9 percent year-over-year decrease and a 7 percent quarter-over-quarter decrease. In the first half of 2018, 29 percent of all new electricity generating capacity brought online in the U.S. came from solar PV. For a second consecutive quarter, the residential PV sector was essentially flat on both a year-over-year and quarter-over-quarter basis — an encouraging sign of market stabilization after a year in which the market contracted by 15 percent. Non-residential PV fell 16 percent quarter-over-quarter and 8 percent year-over-year. 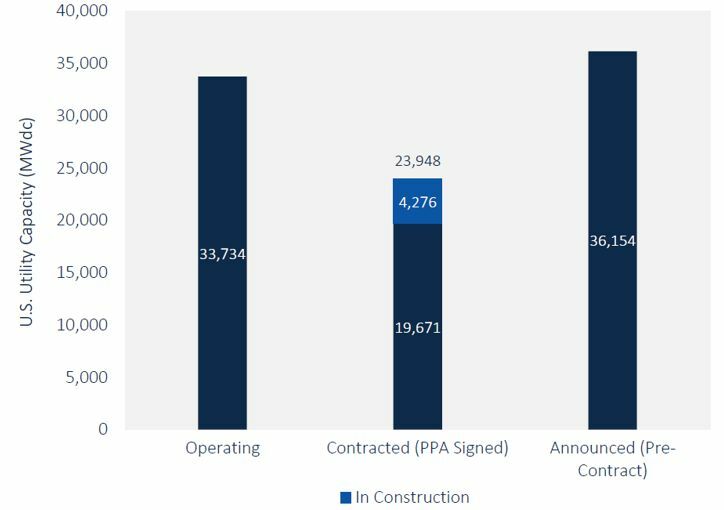 Corporate procurement of utility PV through physical PPAs, virtual PPAs and green tariffs has grown to account for 12 percent of projects in development. Wood Mackenzie Power & Renewables forecasts flat growth in 2018 vs. 2017, with another 10.9 gigawatts (DC) of new PV installations expected. 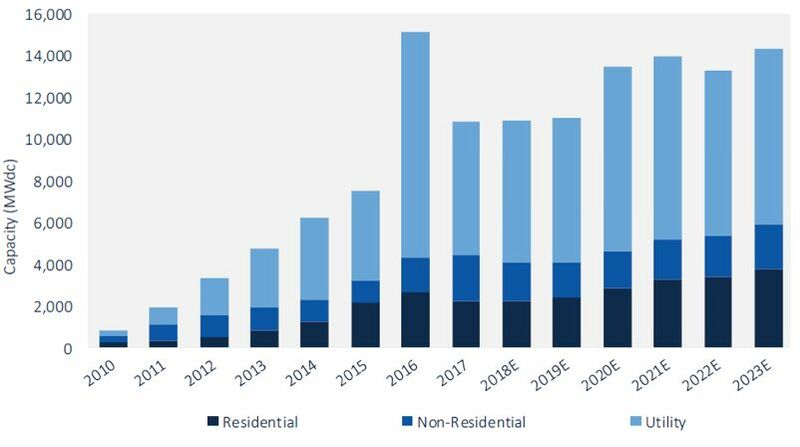 Total installed U.S. PV capacity is expected to more than double over the next five years. By 2023, over 14 gigawatts (DC) of PV capacity will be installed annually. GTM Research, MAKE Consulting and Wood Mackenzie have combined to form Wood Mackenzie Power & Renewables. With an unparalleled level of depth, our integrated power, solar, wind, storage and grid edge market intelligence services enable you to make strategic decisions and forge the path toward a decarbonized and decentralized electricity market.